In conjunction with Memoria Limited Andrew Sells set up South Oxfordshire Memorial Park and Crematorium in late 2013. 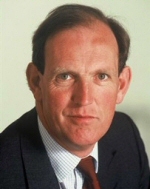 From 1992-2002 he was Chairman of Westerleigh Group, which is a group of crematoria and cemeteries specialising in joint ventures with Local Authorities. Andrew was previously Chairman of The Garden Centre Group (formerly Wyevale) which consists of 122 garden centres across England and Wales with sales of some £250 m. and 4,500 employees. Andrew has been Treasurer of two charities: the Royal Horticultural Society and Policy Exchange, a think tank. He was Chairman of Linden Homes from its start-up in 1991, through its full listing in 1996, its MBO in 2000 until its sale in March 2007. His early career was spent investment banking with Schroders before he moved into venture capital in 1983. For the ten years 1990 – 2000 he was Managing Director of Sovereign Capital Limited. He is a Chartered Accountant and has an MBA from the London Business School. (b,1950) A fourth generation funeral director, Howard trained with James Summers of Cardiff in 1968. He took over the family business in 1975 and launched an expansion programme that culminated in the flotation of Hodgson Holdings plc in 1986. Through subsequent mergers the company formed the largest funeral/crematorium group in the UK. 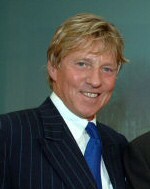 Howard sold his interests in 1991, having taken the company from one branch to 546 and became ‘Entrepreneur of the Year 1987’ in the process. He is largely recognised as the individual who transformed the funeral industry in the 1970s, 80s and early 90s. After a second career in the gift industry as chief executive of Ronson plc and Colibri International he returned to the funeral industry as founder and CEO of Memoria, and has developed it into the third largest and fastest growing crematoria company in the UK today. In 2016 he founded Memoria Low Cost Funeral, the direct cremation arm of Memoria and has taken that company from a standing start to the largest direct cremation company in the UK. He is the author of four books, including a biography of HRH The Prince of Wales. 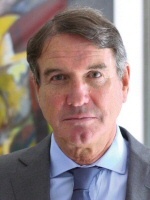 (b,1950) is a former career banker who has held senior positions with both the ANZ/Grindlays and Abbey National banking groups, including in venture capital, where he was responsible for the flotation of Hodgson Holdings plc, and in debt recovery, which resulted in him directly managing a succession of troubled commercial and financial businesses as principal for the bank, both in the UK and Europe, 1992-2000. (b, 1983) Jamieson Hodgson joined Memoria in early 2009. 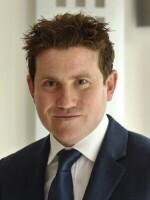 He initially lead business development but has since progressed into the role of Head of Planning. During that time he has helped to grow the business by leading our planning team to securing 8 new planning consents for new crematoria and memorial parks in the last 5 years. Jamieson has overseen 5 planning appeals during this time – leading to 4 consents. This has allowed him to develop knowledge in planning law and policy. He is a demographic expert who has helped to develop GIS technology in order to better understand the way that ‘need’ and financial viability is measured in crematoria development. Jamieson also maintains an operational support role which sees him involved in various areas of the ongoing business. These areas include recruitment of staff, financial performance, ongoing demographic assessment and facility service standards. He spent the previous 3 years working for Accenture where he led business development for their UK Capital Markets strategy group. This role saw him work on a number of projects for UBS, HSBC, RBS and Citi Group. Prior to joining Accenture, Jamieson completed a honours degree in International Business and Finance and also worked for the VW Group and PwC during this time. (b 1977) Paul is the Managing Executive of Memoria Low Cost Funeral Ltd, the Direct Cremation arm of Memoria Ltd and the largest direct cremation company in the country. Paul joined Memoria in late 2013 after a career working in both the public and private sector. A horticultural specialist with extensive experience in groundworks, facilities management and sales and marketing, he has held multiple roles within Memoria before his current promotion. Prior to joining Memoria, he graduated from Teesside University after studying Business Management and has enjoyed a successful career in both telecommunications and the utility sales industries where he founded and managed his own direct sales business employing 70 members of staff. Carl Clamp is our Director of Operations. He was previously manager of our Amber Valley Memorial Park and Crematorium. He now oversees operational performance in terms of service standards across the Memoria Group. In particular, he is responsible for practical training for cremation, administration and general crematorium management across all staff members in the Memoria Group. He is also the CEO’s assistant in all operational matters. Mark Drake is our Regional Director South. Mark brings a wealth of knowledge and experience to this role as previously Mark had a successful career within the hospitality industry and was responsible for operations, sales & marketing, finance & HR. He joined Memoria in 2016 as manager of our Waveney Memorial Park and Crematorium. He is responsible for all crematorium management across Memoria’s southern region. Richard Todd is our Regional Director North. Richard has over 35 years’ experience in the Funeral sector having held a number of senior operational & sales roles across market leading independent, Co-operative and private equity supported Funeral & pre-need businesses. He is responsible for all crematorium management across Memoria’s northern region.